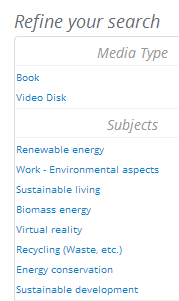 Identify the most relevant types of resources for your task - books, encyclopedia, websites, journals (databases) etc. Once you have done a search, you can use the catalogue records of listed subjects to identify more keywords, and more, related items. The information on this guide has been copied and/or modified from Melbourne University Beginning Research libguides. A good way to begin your research is to find background information in reference sources, such as dictionaries and encyclopedias. Dictionaries help you understand what words mean. Thesauri help you find words that have the same meaning. The Library has a large collection of dictionaries and encyclopedias on the shelves. You can also use Wikipedia for background, but be aware that it is not an appropriate source to cite in your academic research. Start by searching the library catalogue and reference sources. Look at your initial search results and reflect on the value of the results that you have retrieved. You can then use this information to refine your search strategy.